Who Is David W. Latko? Born into modest circumstances and raised in hard-working Hammond, Ind., David W. Latko entered Indiana University at age 16, graduated at age 20 with a B.S. in Education, and went on to earn dual Master's Degrees in Public Administration and Judicial Administration. 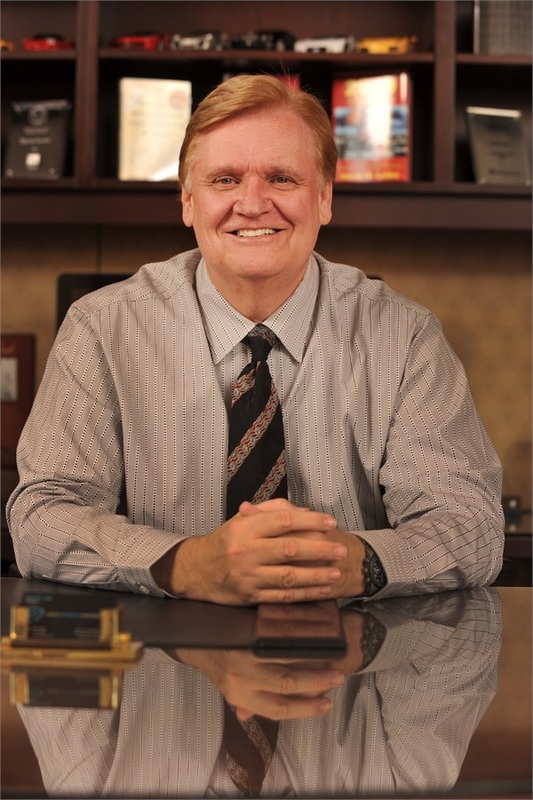 Initially, David pursued a career in the legal system, working for half-a-decade in the courts before following his interest in investments into the financial world in 1979. In 1981 his success there took him to increasingly more prestigious positions in several of the world's premier “brand-name” financial firms. Encouraged by this success, but chafing at those firms' ever-present emphasis on “sales-before-service,” in 1989 David set out on his own to create a financial-services company that mirrored his own philosophy: an emphasis not on the company’s own bottom-line, but based on the best interests of each individual’s unique needs and circumstances. This new company would not depend on steering customers into “product-of-the-month” purchases, nor would it pressure customers into frequent “buy-and-sell” cycles to boost per-transaction commissions. Just as important, this new company would be responsive to its clients-- communicating with them clearly and frequently, caring about their lives and happiness … even when it wasn’t trying to sell them on some “new” approach or speculation. Today, David remains the same man who once worked and studied from 8:00 a.m. to 3:30 a.m.—a hard-working schedule that many of his clients have shared in reaching their own success. He enjoys the rewards of a close-knit family who now all work with him in the business, a comfortable life and his own passions: writing his books and savoring fine automobiles (he’s owned more than 300 in his lifetime, many of them rare or collectibles). But his real reward is measured in the dignity and serenity his clients experience as a result of the advice, management and planning he provides to them. The story of Latko Wealth Management is one of a visionary mission, of unstinting hard work… and of an enviable record, both for the company and for the clients it serves. David has earned a national recognition for his insight and expertise in providing financial services tailored to the specific needs of each individual client. His reputation and results led talk-radio’s Dave Ramsey to honor David W. Latko with the coveted SmartVestor Pro (SVP) status, declaring David to be among the select financial advisors sanctioned and highly recommended by the Ramsey organization. In addition, David Latko has been named as a "Five Star Professional", Award based on 10 objective criteria associated with providing quality services to clients such as credentials, experience, and assets under management among other factors. Wealth managers do not pay a fee to be considered or placed on the final list of year 2012/2013/2014 Five Star Wealth Managers. David Latko has appeared as a featured guest on such programs as the CBS Early Show, Your World With Neil Cavuto (Fox), ABC News, CNN, dozens of broadcast-radio interviews and many more media appearances. He continues to be a valued guest, providing his insights and expertise across broadcast, print, and Internet media. He is the author of the critically and professionally acclaimed books Everybody Wants Your Money (HarperCollins) and Financial Strategies For Today’s Widow (Simon & Schuster). His advice on “How To Choose A Good Financial Advisor,” excerpted from the chapter of the same name in Everybody Wants Your Money, has been widely quoted by investors and consumer advocates across the country. David is also the author of the fictionalized “2019: Dystopia USA – A Novel Of America’s Twilight” which won critical praise for its profound insights into the likely outcome of American economic policies in today’s world. As former host of his own nationally broadcast talk-radio program Money & More, David has debated issues and mined the insights of such giants in the business, financial, political and news-media world as Steve Forbes (publisher of Forbes Magazine and a past Presidential-nomination candidate), Robert Kiyosaki (author of Rich Dad/Poor Dad), Newt Gingrich and Dennis Hastert (both, former Speakers of the U.S. House), political pundit Ann Coulter, and John Stossel (consumer advocate and host of ABC-TV's 20/20 news magazine), and numerous other notables. David has never feared to challenge “conventional wisdom,” as in his widely publicized on-air debate with David Bach, author of “The Automatic Millionaire Homeowner,” in which David Latko debunked many of the questionable assertions Bach had made regarding the financial aspects of home ownership—this, months before the housing industry crashed. David has professionally advised financial clients since 1981. Latko Wealth Management is an independent financial consulting firm which, since its creation in 1989, has guided the wealth of his clients through every economic climate and every stage of their life’s transitions. Today, more than 95 percent of all David's clients have remained with Latko Wealth Management, and are now joined by new generations of clients who seek his counsel.